Video number 3 in my new “City in a minute” series is London in a Minute! To make this video I actually shot a lot with Kelley Ferro from TripFilms while in London a couple weeks ago, but it also consists of footage from my 6 previous visits over the past few years. It feels almost like a weight has been lifted off my shoulders that I have finally been able to use some of this footage I have had laying around for ever and was doing nothing with. I had a great time making this video, I think you will enjoy it. Come with me as I tour around London in one minute, enjoying an afternoon tea, going on a Jack the Ripper tour, drinking some beer, smoking a hookah pipe and more in my London in a Minute travel video! 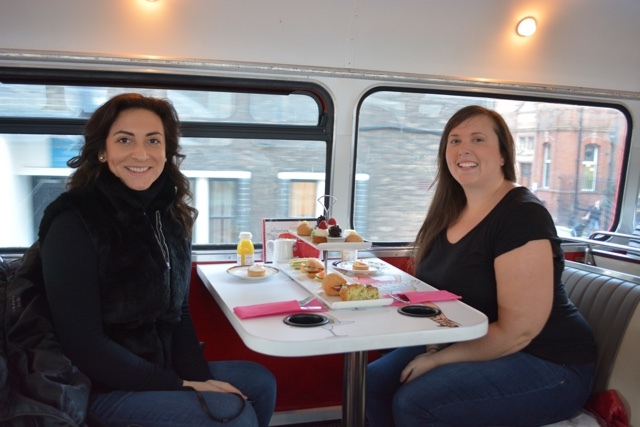 You can even enjoy Afternoon Tea ON a Double Decker bus with BB Bakery! 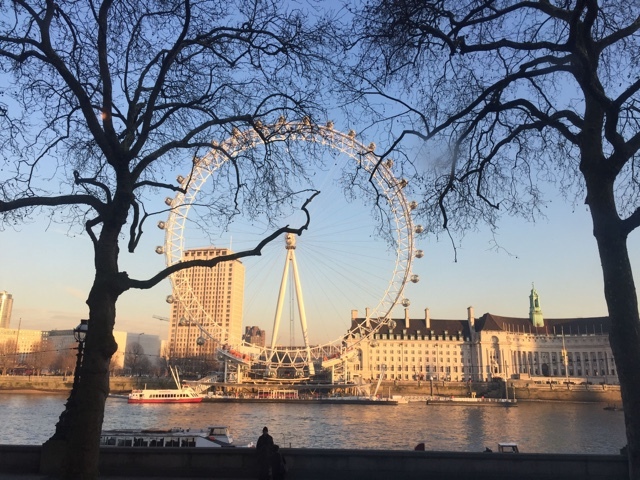 My must see highlights when visiting include taking a double decker bus tour around the city, by Big Ben and along the river Thames while checking out the London Eye on a boat cruise along the Thames. I also highly recommend going to one of the best afternoon teas in all of London at the Lanesborough Hotel. A fun and free activity to do in London is also to visit the Tate Modern Art Gallery for some amazing exhibits of art from famous artists around the world. Another popular thing to do when visiting London is to go shopping. Aside from visiting the many tourist shops for souvenirs you should also check out the famous shopping area near Oxford Circus for some of the best shopping in the world. If after all of that shopping you are a bit hungry, I definitely recommend going for a quick bite in Chinatown, I highly recommend going for some Dim Sum at a place called Opium, they have some great tea as well. If it is a Thursday night then I would suggest after leaving Chinatown that you head to the nearby Leicester Square to do some celebrity spotting at one of the many movie premieres that take place there. If you want a more traditional London experience then I recommend you also check out the changing of the guards in front of Buckingham Palace in the day time. The best way to get around town by far is the London Underground aka tube and I would suggest getting yourself an Oyster card and adding about 20GBP to it so that you can tap in and out like a local and get around easily. If you want to enjoy a bit of the nightlife you can chill and hang out at one of the cities many hookah bars, go to a pub for a drink or two, (one of my favourites being Ye Older Cheshire Cheese) and go for a stroll in the Shoreditch area. If you want to do a classic tour of the city aside from riding on a double decker bus I would also recommend doing a food tour of the city with Eating Europe or for the brave taking a Jack the Ripper walking tour. 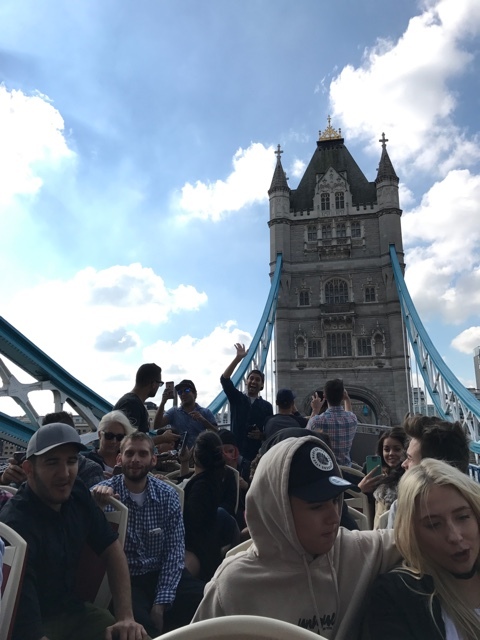 Basically if you want to have a proper London experience and do all of the things you should visit for at least a month and have a large budget to do so. Hopefully my suggestions and video will help you plan your next trip! Wombat’s Hostel – a newish hostel located near Tower Bridge. Very clean and funky with an awesome bar, kitchen and hang out area in the basement. Another great place to stay is the Georgian House Hotel and they even have a few rooms straight out of Hogwarts so you can pretend that you are a wizard just like Harry Potter! Or if you are looking for a luxury apartment check out the Cheval Residences – Thorney Court apartments, Phoenix House apartments or the Gloucester Park apartments. Great video! Hookah sessions are always fun. I love how your video is perfect in both length and content. Keep up the good work! I loved London while we were there for 2 weeks and your summed it up wonderfully! :D Shaun is blown away by your vids by the way (I am too, but you know what I mean)! You and Kelley are sooo cute! Love the montage… Your videos are so excellent!! Fantastic! Completely understand about the weight being lifted off your shoulder too. Congrats on the new gig at Travel and Escape! Another dandy addition to this series. I’m impressed by your editing skills.